The luxurious spot has a history of royal visitors. Prince Harry and Meghan Markle kiss outside St George's Chapel in Windsor Castle after their wedding on May 19, 2018. Newlyweds Prince Harry and Meghan Markle — now known as the Duke and Duchess of Sussex — have already given Canadians so much boasting power. The site of the couple's first PDA at the 2017 Invictus Games? Ya, that was us. The set of Markle's seven-year stint with popular legal drama "Suits," which had Prince Harry flying to Toronto to visit her? Us again. The homeland of the adorable Mulroney twins, whose royal wedding photobomb stole the hearts of wedding-watchers around the world? Oh, hi. And don't even get us started on all Markle's done to put Canadian fashion on the world stage. So when we heard the newest royal couple was rumoured to be honeymooning at Alberta's Fairmont Jasper Park Lodge, we almost burst with pride. Who needs a beach vacation when you can stay in a gorgeous log cabin in the heart of the Canadian Rockies, surrounded by nature and wildlife and Adirondack chairs and OMG IT COULD NOT BE MORE CANADIAN UNLESS THEY ALSO SWIM IN MAPLE SYRUP. O, Canada, we're absolutely dying. TMZ reported Monday that the duke and duchess will be staying in the 6,000 square-foot Outlook Cabin, which is also called the "Royal Retreat." The gossip news site's sources said the resort has already ordered in some extra "gear and goodies" for the couple, and that while the date of their honeymoon is unknown, both Canadian and British security will be involved. However, a representative for the lodge says the rumours are just that. "They are 100 per cent rumours. They are not booked to stay with us," Angela Moore, Regional Director, Public Relations, Fairmont Hotels and Resorts, Canada's Western Mountain Region, told HuffPost Canada in a phone interview. When asked if perhaps the royal couple might be staying there under another name, or just trying to maintain their privacy, the answer was again "no." "I've heard nothing ... in the past when we've worked with royal couples its been a very involved process," Moore said. In an additional emailed statement, Moore said "though Fairmont Jasper Park Lodge has a longstanding history of serving as a royal retreat, we can confirm that the couple is not currently booked for a stay. We are declining further comment at this time, as our top priority is always the safety and privacy of all of our guests." Hmph. Well. We weren't expecting them to really confirm a royal booking, were we? Maybe they just want to frolic in the mountains alone? If it turns out that they are in fact honeymooning at Jasper Park Lodge, one needn't worry that Markle and Prince Harry will be roughing it in the woods. The "Royal Retreat" has six bedrooms with ensuite bathrooms, an enclosed conservatory and veranda, two stone fireplaces, a large terrace, and a full kitchen with a private catering entrance. 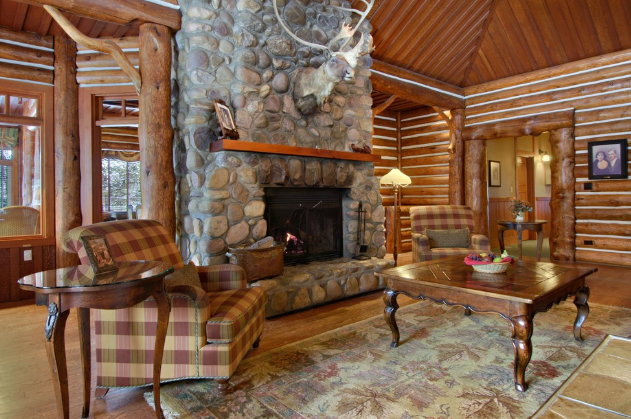 "Supreme comfort is present in every detail," the lodge's website reads. (It costs $8,850 per night, according to Cosmopolitan, so we hope so). Queen Elizabeth II and Prince Philip stayed there in 2005, and King George VI and Queen Elizabeth visited in 1939. 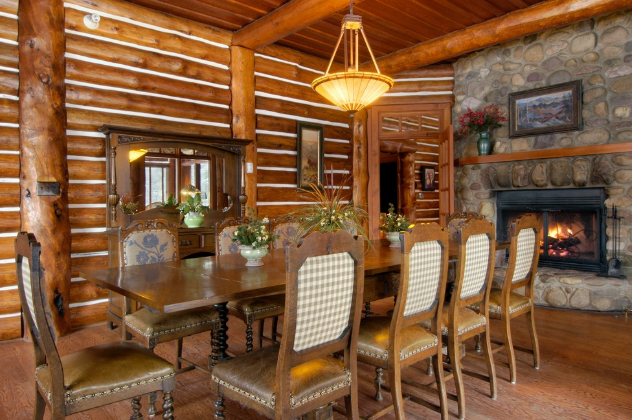 "This beautiful cabin — also known as the Royal Retreat — was recreated from the floor plans of the 1930 original, which was destroyed by fire in 2000. 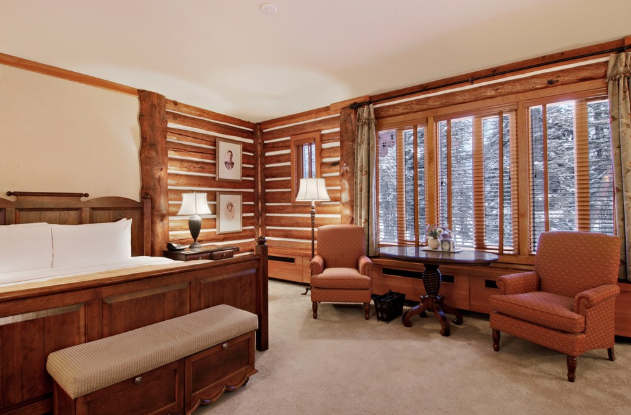 Every inch of this prestigious dwelling exudes the elegance and grandeur that has welcomed King George VI and Queen Elizabeth in 1939 as well as Queen Elizabeth II and Prince Philip in 2005," says the Fairmont Jasper Park Lodge website. We can't think of a more beautiful spot for the duke and duchess to kick back, relax, and maybe even roast some marshmallows under a star-filled sky with The Tragically Hip softly floating through speakers somewhere in the background. We're not crying, you're crying. In 2011, Prince William and his new bride, Kate Middleton (now known as the Duke and Duchess of Cambridge) visited Canada for a nine-day honeymoon tour that included stops at a rustic mountain lodge in Banff National Park, an isolated island in the Northwest Territories, and a dragon boat race in Prince Edward Island. The Duke and Duchess of Cambridge watch the Calgary Stampede Parade in 2011. Perhaps most memorably, William and Kate also attended The Calgary Stampede, where they donned white cowboy hats and forever cemented their places in our hearts. Even if the rumours turn out to be false, we can still dream of the official photos of Markle and Harry lounging in their red Adirondack chairs, preferably wearing Roots sweatpants and buffalo plaid jackets, or perhaps even sporting a matching set of Mountie onesies.